The basement of your home used to be just a boring space where the water heater and the furnace were and maybe a space where you could store all that extra stuff. But all of that has started to change. No longer is a basement the creepy room everyone wants to avoid. 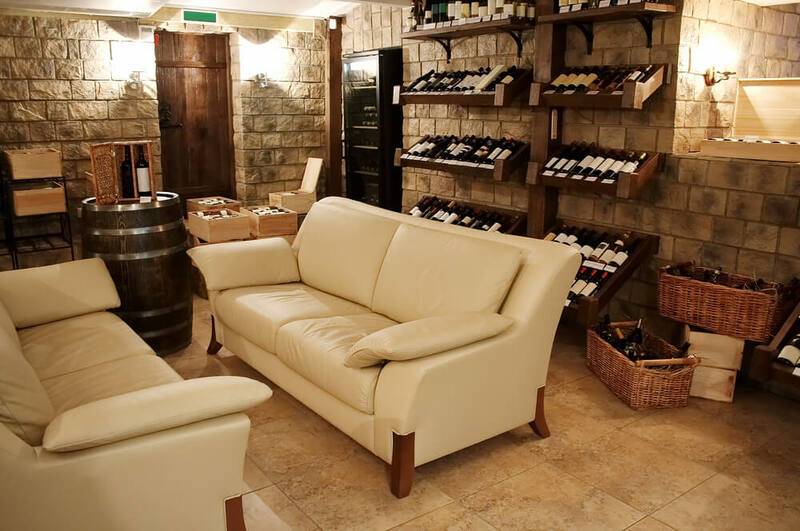 Now, the basement is the place to be and it’s often a finished space. 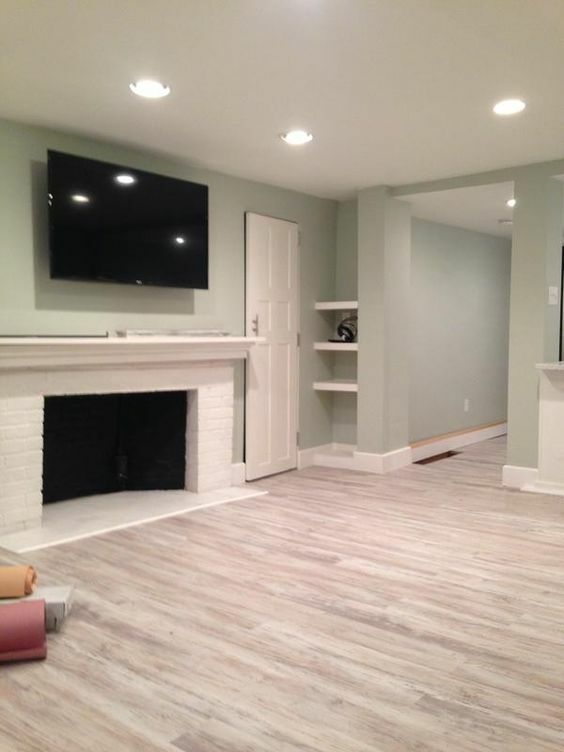 That’s why choosing the right basement paint colors is important. 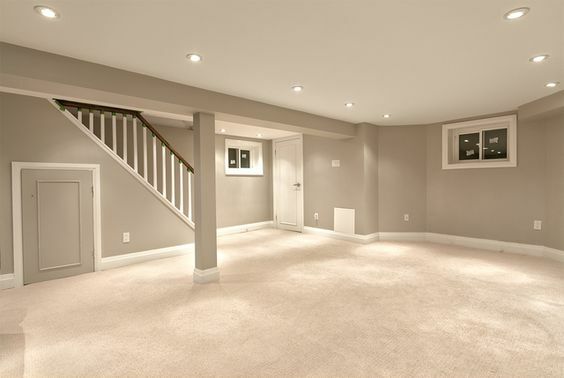 So where exactly do you start when choosing basement paint colors? Well, one thing you want to do is think about just how much light you’re getting in that space. Most basements are going to be quite dark because there are not a lot of windows. 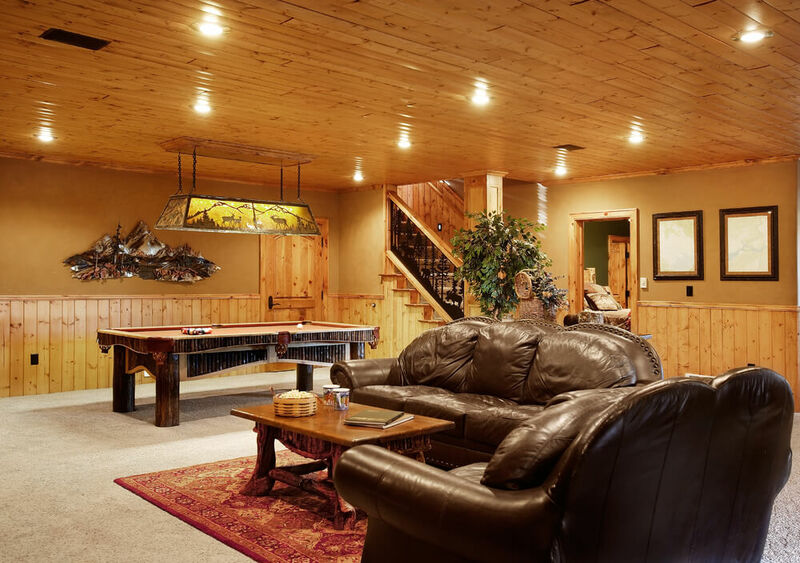 But some basements have outside access or they may have a lot of actual lights set up to make sure they look bright. 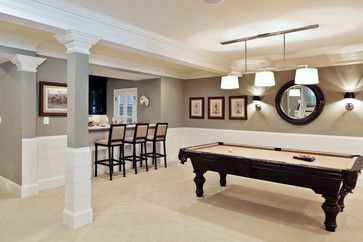 If your basement is dark you may want to look at brighter colors that make it easier to see everything and make the space more fun. No matter what you have in your basement, if it’s dark and creepy you’re not going to have as many people who want to check it out. Colors like yellow, light green or even pinks and reds can be a lot of fun and brighten up the space. 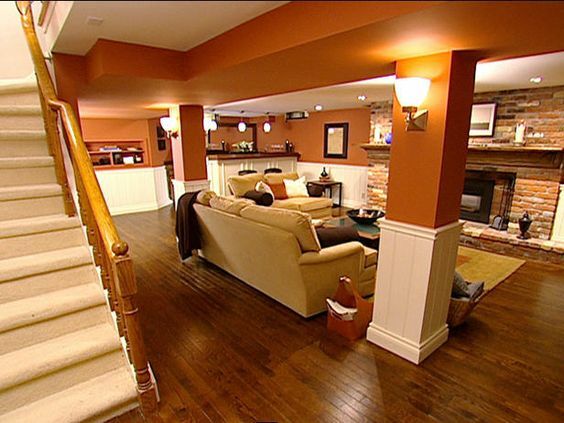 If your basement is already light you can paint it just about any color you want. Remember, really dark colors can dim down even the brightest room, so you want to make sure it doesn’t get too dark in the space. The best way to do that is to paint a swatch with that color and see what you think. Maybe you like it, or maybe you like it in a smaller area but remember, it’s going to be all over the walls. The truth is you can get a lot of different colors for your basement and you can get them without having to spend a lot of money. If you have a large space you’ll spend more than if you have a small basement, but all you really need is the paint itself. Paint can cost anywhere from $15-$20 to $40 or $50 per gallon, but when you think about the fact that it’s your only cost … It’s not a whole lot of money to have to spend. If your basement isn’t already finished that could be another charge. Of course, that’s only if you want to finish the basement. 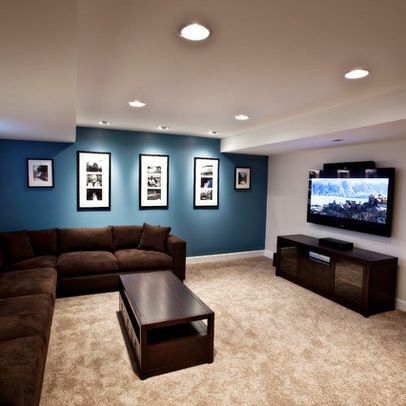 If you use the right types of paint you can actually paint directly on the brick or cement of your basement walls. 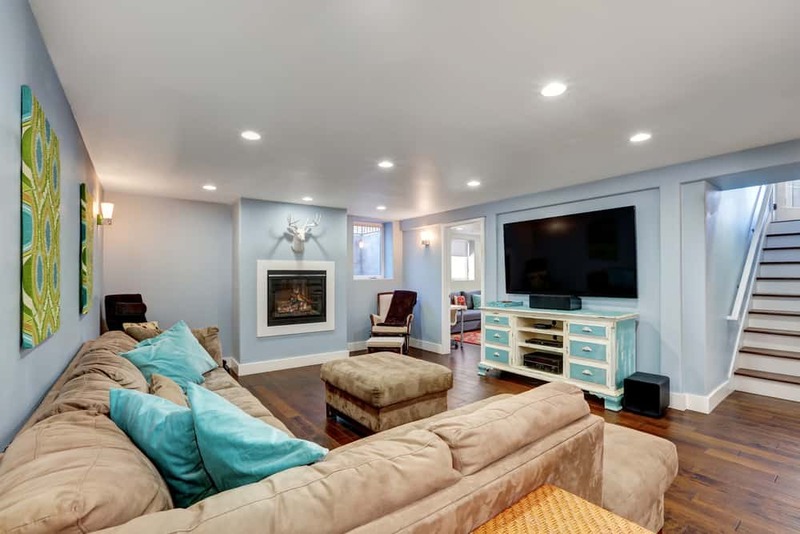 This paint is a little more expensive, but if your alternative is finishing your basement … it’s a whole lot cheaper to do this way. The best thing about having a finished basement is that it’s going to feel more homelike right off the bat. 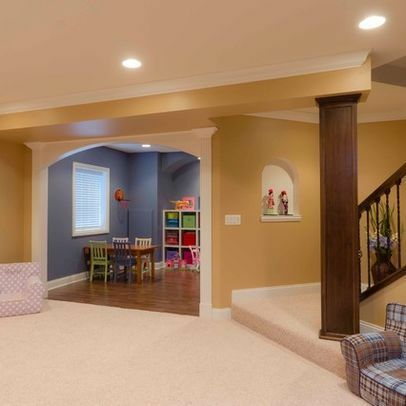 You won’t have to worry about much of anything that way and people are going to love heading down into that basement to spend time, not matter what basement paint colors you choose. This room has white to make it a little brighter, but the deep blue is just the right accent. It’s dark, but with the rest of the white and all the light in here, it makes for great basement paint colors. 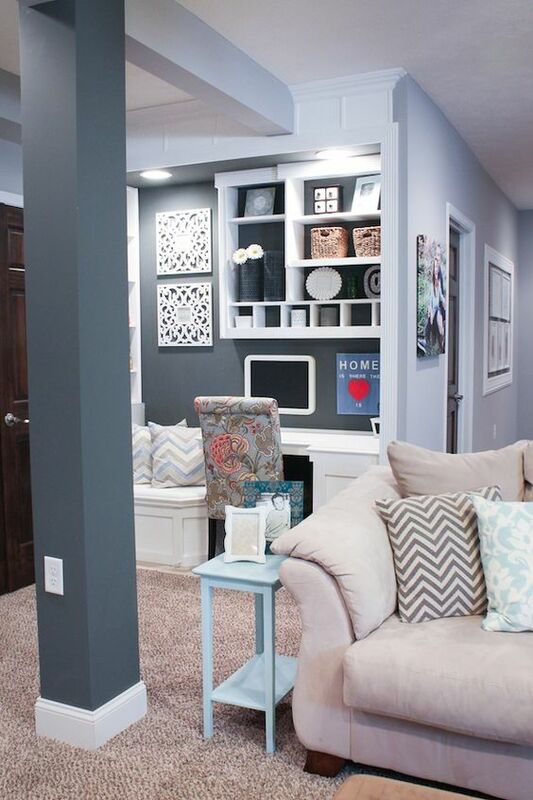 This room is light gray in color, with a little bit of white accent to help lighten things up. Because the walls are still light but also painted, you get plenty of light to help out. The light green of these walls adds just a little bit of accent to the basement but isn’t too dark at all. It’s just light enough that you get the feeling of brightness at the same time. Light gray and deeper gray definitely combine to create a very unique look. It’s the perfect balance of light and dark so you don’t make this room, without a lot of lights, too dark. 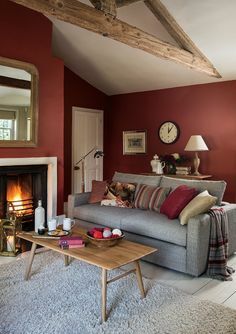 This room has a unique color of either a pale green or brownish color with a whole lot of great white accents to fit together. It also helps emphasize the lights that are right there as well. These walls aren’t exactly painted but they definitely are decorated. 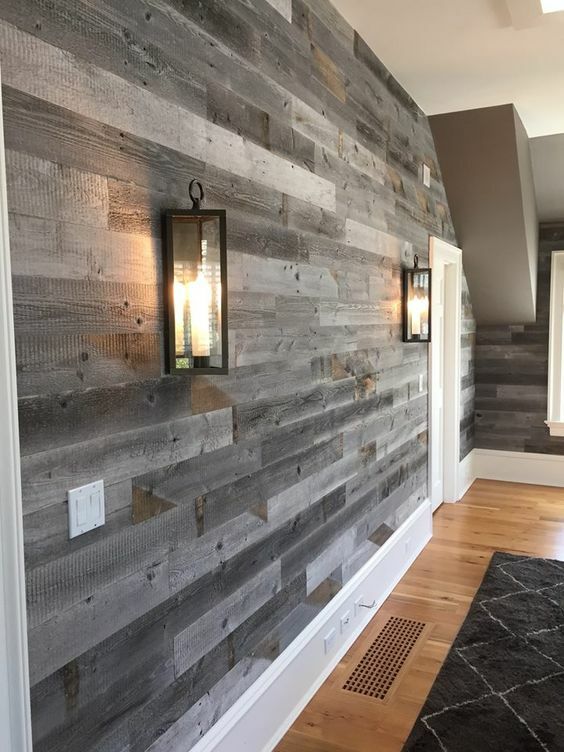 The wood on the walls is really nice and even though it makes things a little bit darker, it definitely works great. This room has a sort of army green/brown color to help in the room. Compared with the white ceiling and accent pieces you get right off the bat it’s a comfortable color that keeps you wanting to come back. The colors here are bright and fun. With the background of yellow and white you’re going to really have something anyone will want to come to check out. This basement hasn’t been finished off, which means it’s the brickwork that gets painted instead of the drywall. The deep blue makes this room look dark, especially because the ceiling isn’t finished off either. The brilliant gold/orangish color of this room is fun and definitely not something you see every day. It’s a mix of bright and dark, but definitely something you shouldn’t miss out on. 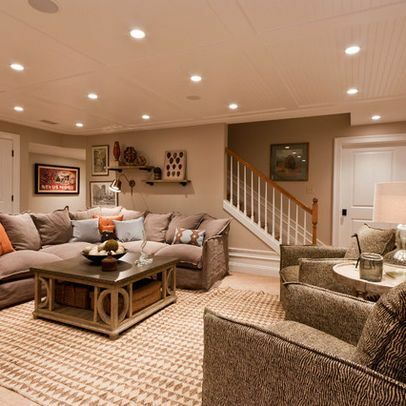 Pale yellow can be a great color for a basement because it keeps things light and fun. 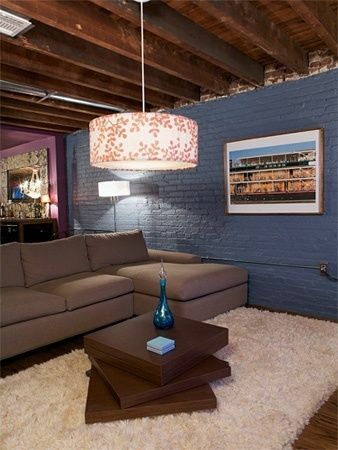 The pale blue compliments it very well and definitely creates a great look for a darker room. This deep and dark room is one you’ll need to question for yourself because it would be quite dark in a basement area. You want something that isn’t too dark and won’t cut out the sunlight you do get. A little bit of pattern work can be a whole lot of fun with this one that features stripes in fun colors. All you need is a little bit of accent and a little bit of light to get a great view that accents the colors.